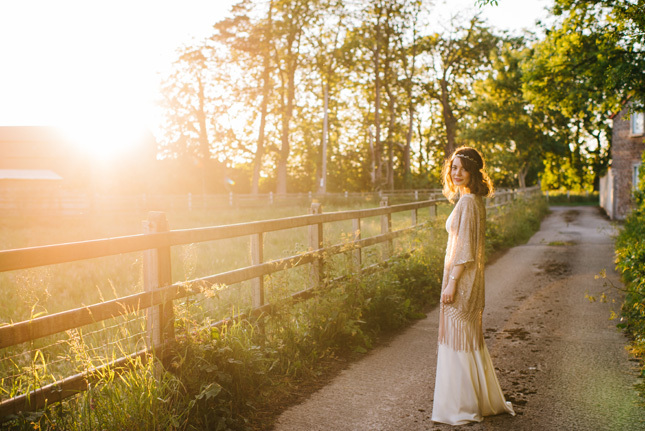 A sunshine filled day, surrounded by loved ones. 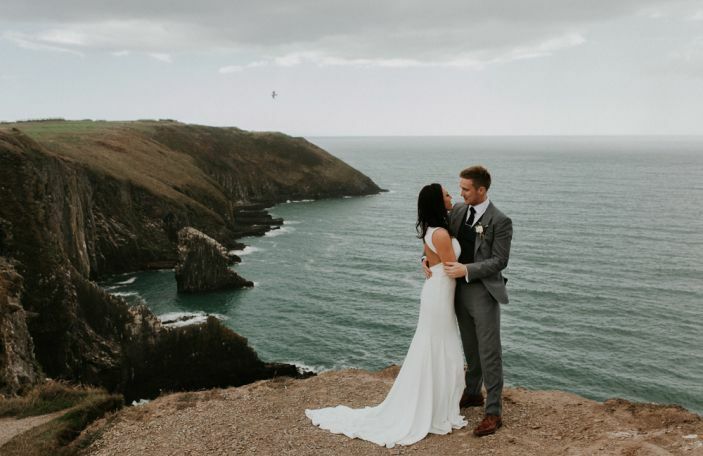 Nicola and Andy met through Nicola’s sister, while they were both studying at Queens University, Belfast. 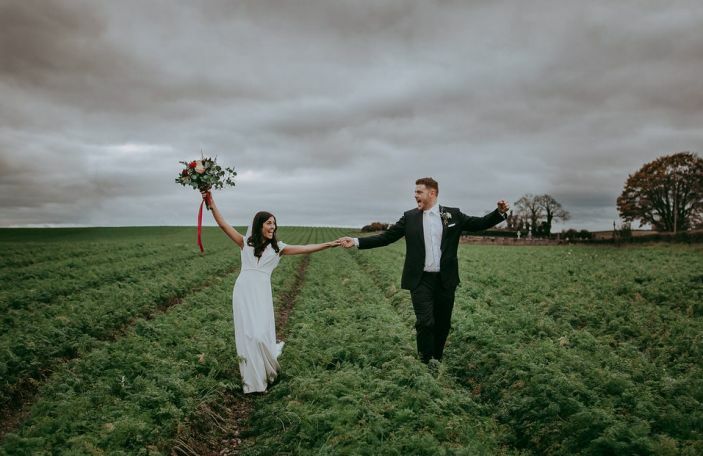 “As we’re not really ceremonious people, Andy proposed down a dodgy alley in the city, after a Chinese, one night,” laughs Nicola. 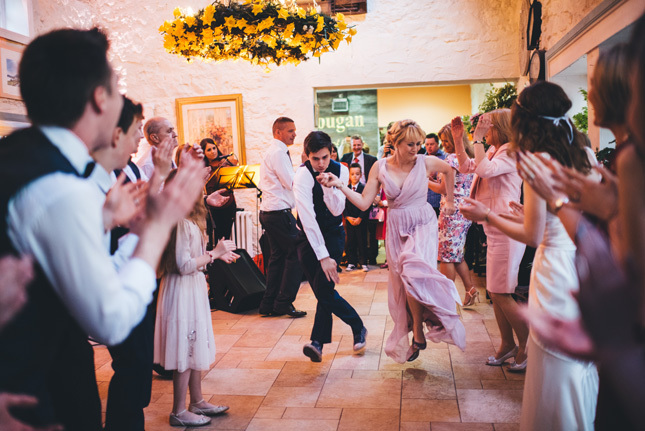 For the wedding venue Nicola and Andy chose Ballydougan Pottery; a craft workshop and coffee lounge. 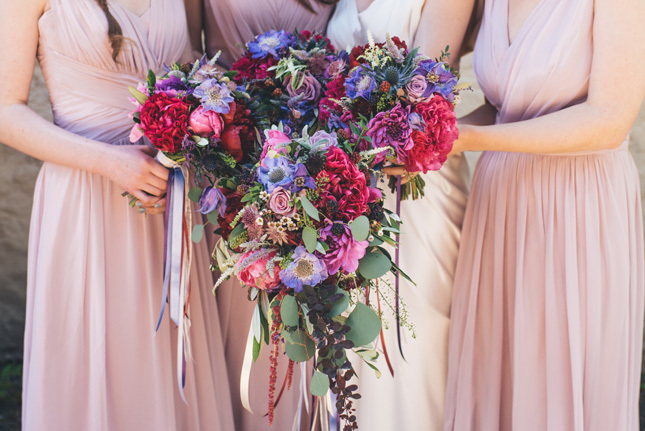 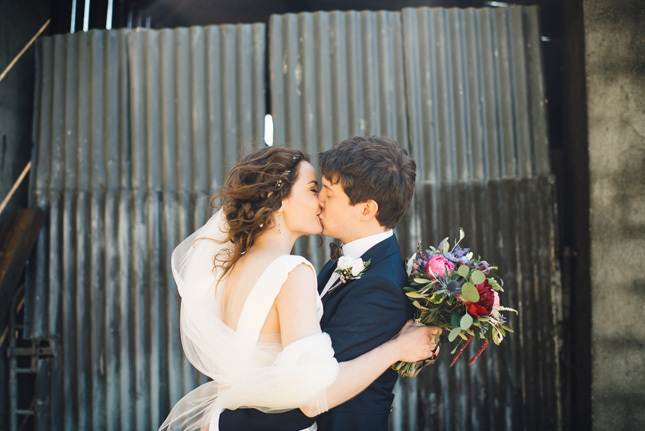 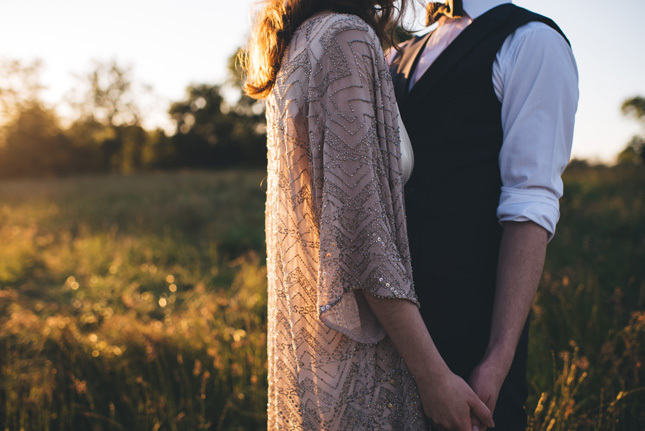 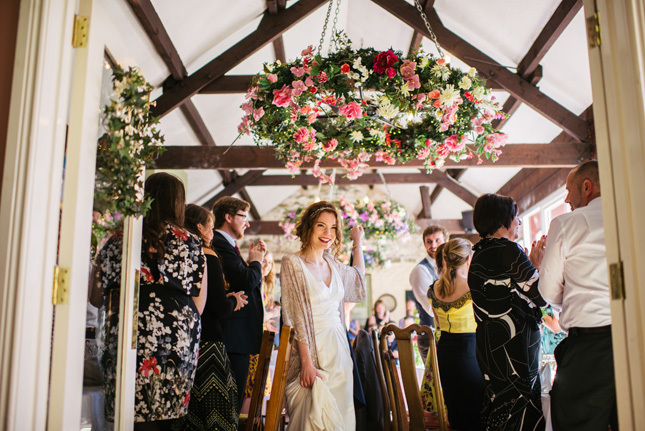 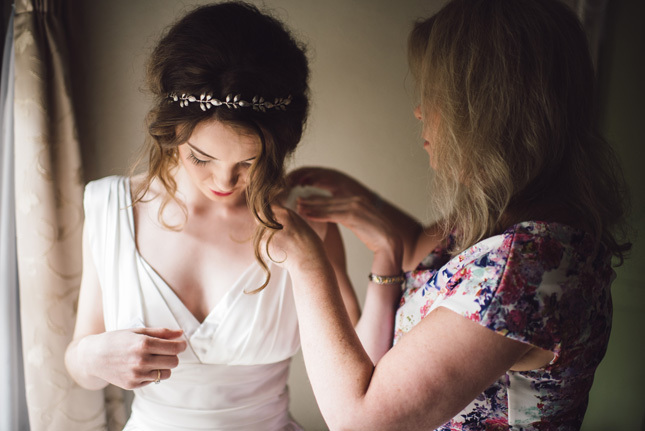 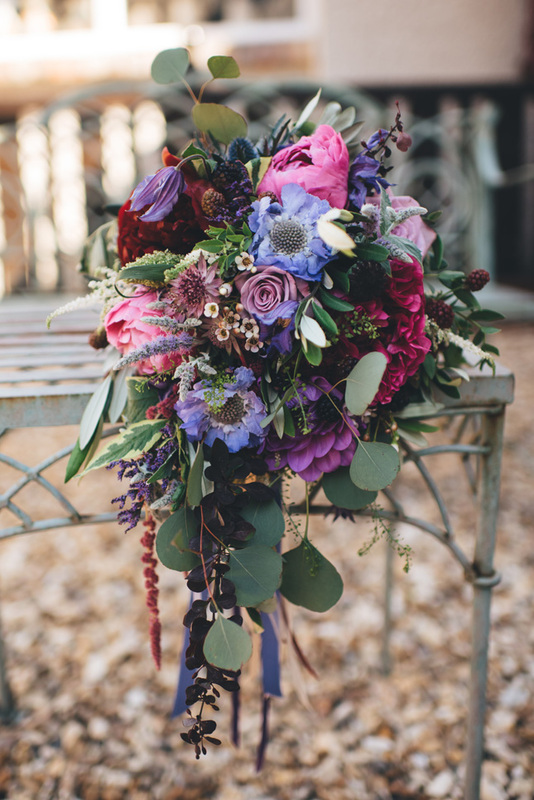 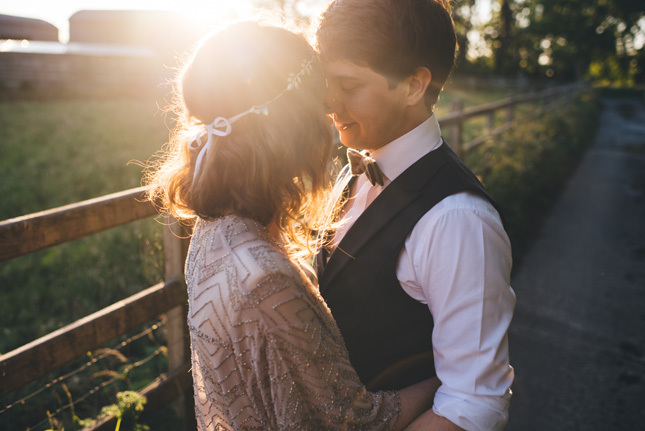 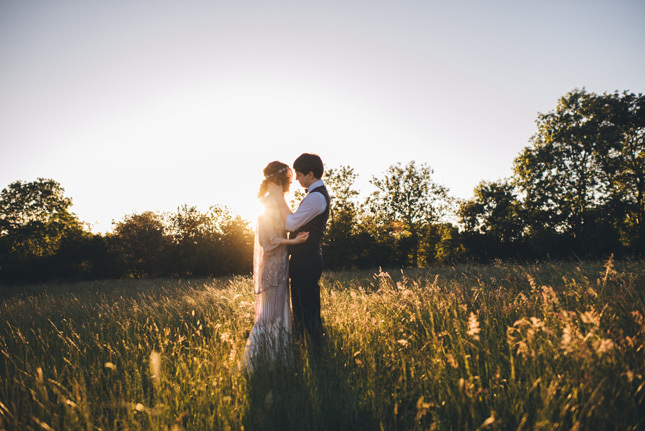 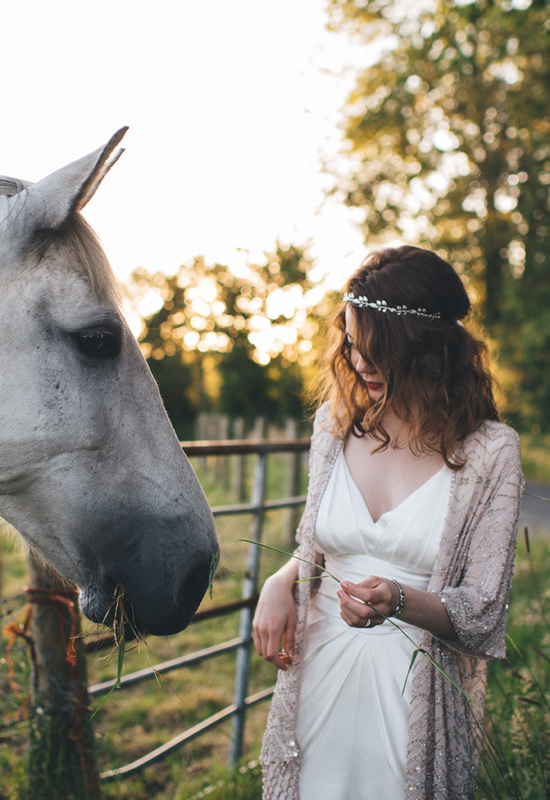 It is a place that they enjoy visiting and knew would suit their colourful boho wedding. 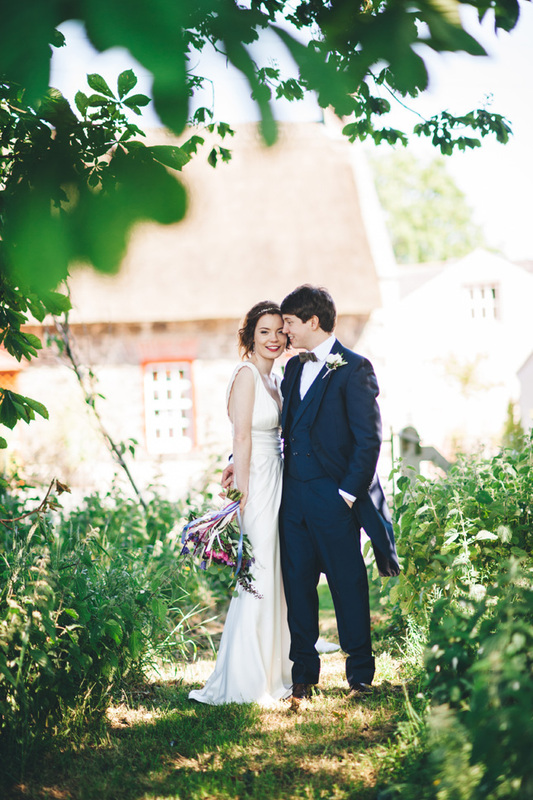 “It was beautifully and thoughtfully restored by its owners, Seán and Marie. 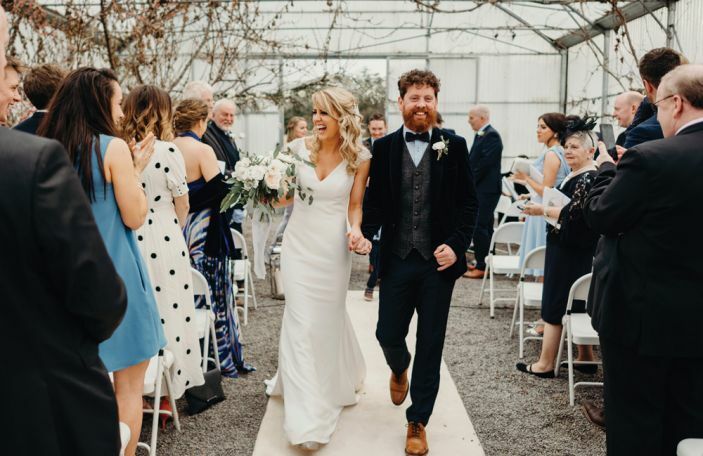 Ballydougan Pottery is a special place for us as it celebrates all things authentic and we often call in on a Saturday,” says Nicola. 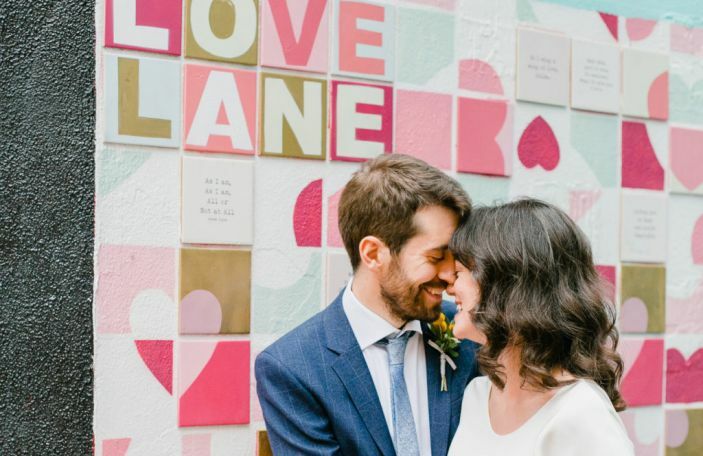 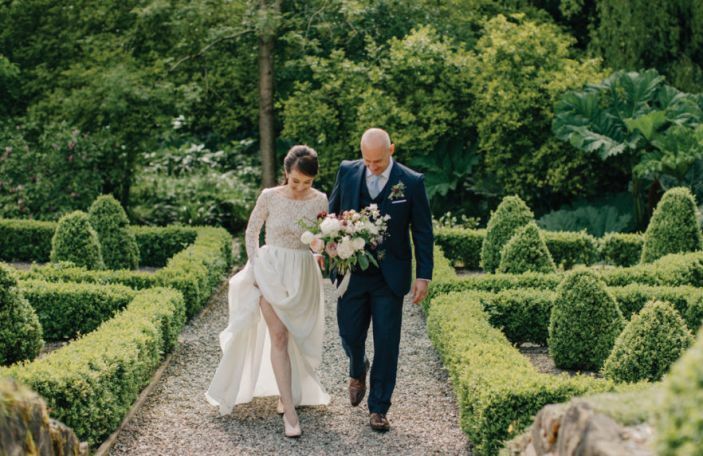 Taking a year to plan their perfect day and not wanting to spend a fortune on their wedding, both Andy and Nicola decided to add some DIY to their wedding. 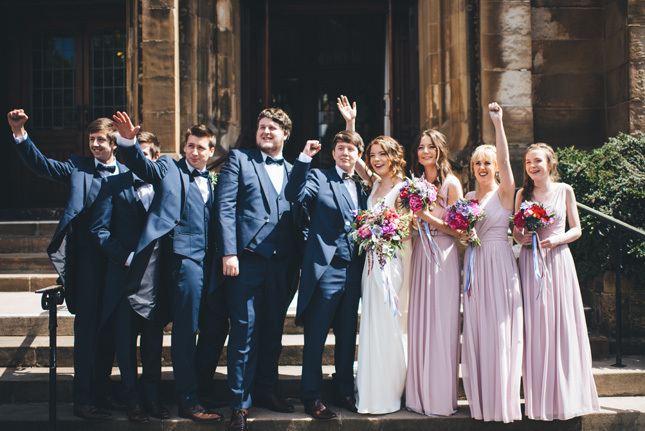 “Andy designed and made the invites with a really handy online reply app (the benefits of marrying a programmer),” Nicola laughs. 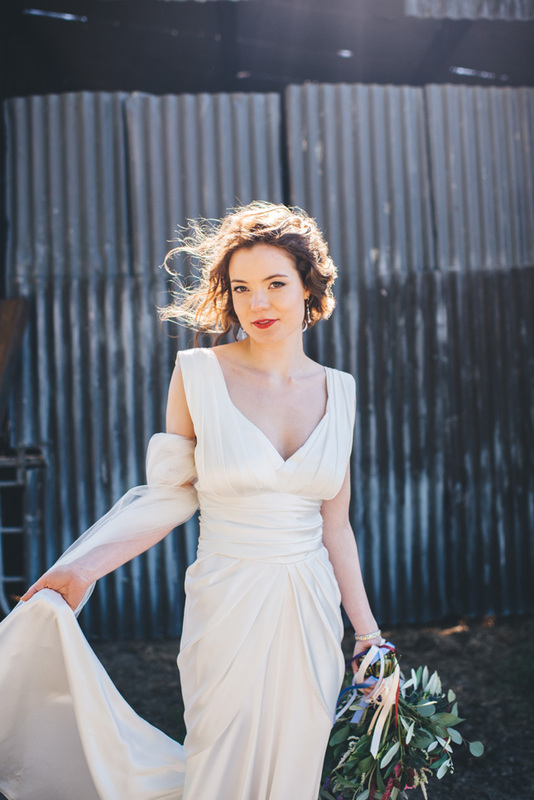 “I bought my wedding dress second-hand from London and saved all the jam jars from work to make my own tealights for the tables. 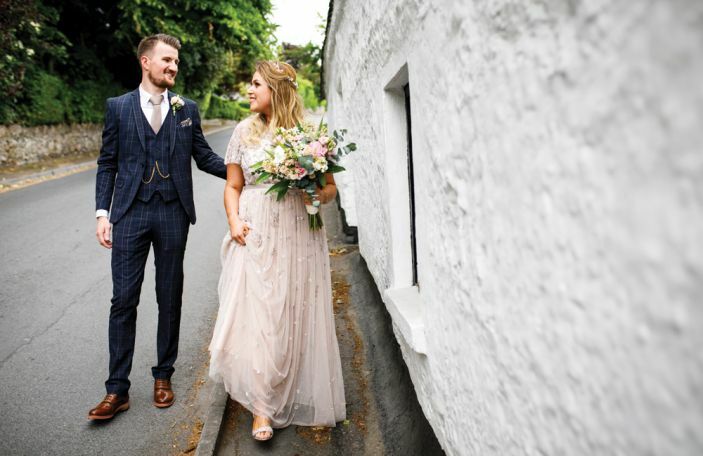 I also sewed bunting for the church, for our honeymoon, we road tripped around Ireland,” said Nicola. 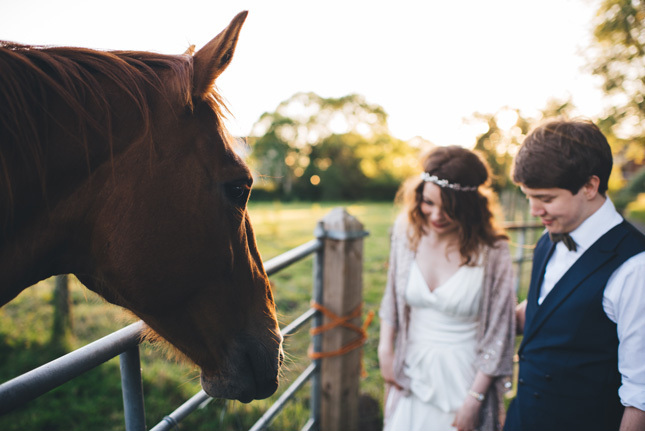 Related: Considering a Northern Irish wedding? 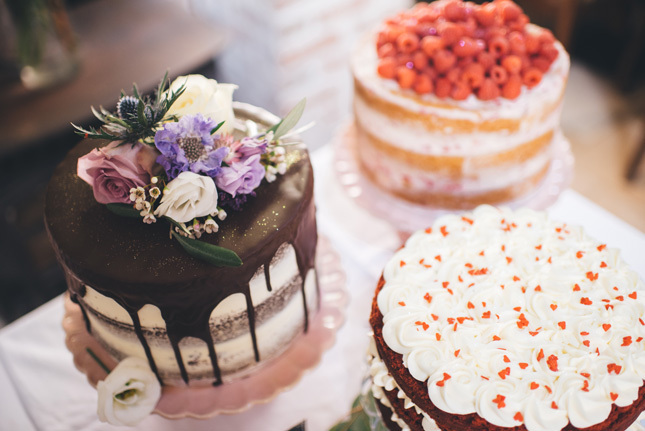 Here's your ultimate wedding planning guide!